The arrival of Vasco da Gama in Calicut on May 20, 1498 opens a sea route from Europe to the East. After that India became the focal point of the Europe's trade and also the realm of European ambition getting wider to grab Spice Islands trade monopoly which causes numerous naval battle. Here, we are given an interesting glimpse of the trivial fact, in the Indian history about when and why British first landed on Indian Territory. The arrival of Vasco da Gama in Calicut on May 20, 1498 opens a sea route from Europe to the East. After that India became the centre for attraction for the Europe's trade and also the realm of European ambition getting wider to grab Spice Islands trade monopoly which causes numerous naval battle. How British East Company formed? The British Joint Stock Company i.e. East India Company was founded by John Watts and George White in 1600 AD to pursue trade with South and South-East Asian Nations. This joint stock company, shares owned primarily by British merchants and aristocrats, the East India Company had no direct link to the British government. When did British landed on Indian Subcontinent? The British enter in Indian sub-continent at first as traders seeking spices. Spices were the primary way of preserving meat in Europe prior to the modern age. Then, having more modern and effective weapons, the sub-continent was brought into the Empire at gunpoint. As was commonly said: “The sun never sets on the British Empire.” It would have been more accurate to say: The British Empire consisted essentially of territories forcefully occupied and governed at gunpoint. The British landed on Indian Subcontinent at the port of Surat, August 24, 1608 AD for the purpose of trade, but after 7 years British got Royal order (i.e. Farman) to establish a factory at Surat under the leadership of Sir Thomas Roe (Ambassador of James I). Following this, the East India Company also got similar permission from the Vijaynagara Empire to set up their second factory in Madras. Gradually the British eclipsed the other European trading company and over the years they saw a massive expansion of their trading operations in India. Numerous trading posts were established along the east and west coasts of India, and considerable English communities developed around the three presidency towns of Calcutta, Bombay, and Madras. They majorly traded in Silk, Indigo Dye, Cotton, Tea and Opium. 20 years later, the Company spread its presence to the East of India by setting up a factory in Kolkata. How a British trading corporation became an imperial ruler? During their period of trading company they realised that the entire Indian Subcontinent disperse in the reality under provincial kingdoms, hence, they started thinking to concentrate all the resources. By the 1750's, the East India Company began intervening in Indian politics. The Company saw the rise of its fortunes, and its transformation from a trading venture to a ruling enterprise, when one of its military officials, Robert Clive, defeated the forces of the Nawab of Bengal, Siraj-ud-daulah, at the Battle of Plassey in 1757. Finally, the rule of the East India Company was brought to an end in 1858 after the First War Independence in 1857 which is also known as Revolt of 1857. 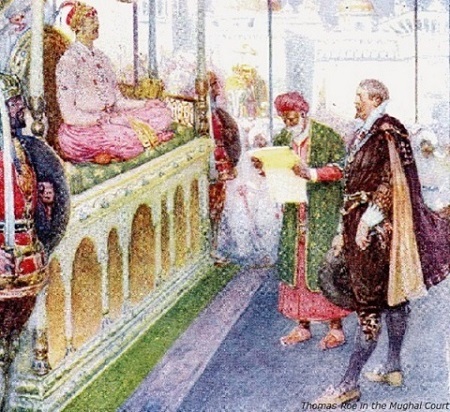 After the dissolution of the East India Company from India, the British Crown overtook direct control of India to begin what is known as the British Raj.